Demerara began their title defence of the Guyana Cricket Board (GCB)/Hand-in-Hand Under19 three-day Inter County tournament with a resounding innings and 106-run win over Essequibo at the Police Sports Club Ground Eve Leary, yesterday, winning with an entire day to spare. 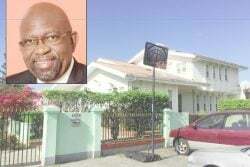 Demerara, resuming on 230 – 5, with a lead of 124 – runs, subsequently declared their innings closed on 327 – 9, extending their lead to 221 at the end of the first session. 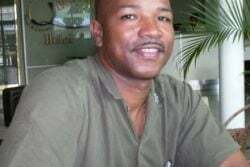 They lost Ramnarine Chetura (40) after he added 17 runs to his overnight score. Chetura was dismissed by the nagging Joel Fortune to hand the spinner his fourth wicket of the innings. 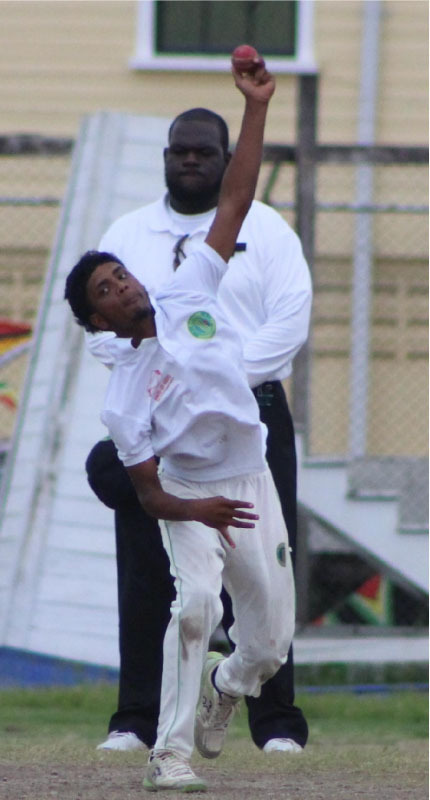 Sagar Hatharamaina (15) was then dismissed by Mahendra Persaud which left Demerara on 299 – 7. Richie Looknaught during that time, took Demerara past the 300-run mark while also reaching his half century. He, however, was dismissed by Fortune for an even 50 on the stroke of lunch to give the bowler his fifth wicket. Looknaught’s innings lasted 141 minutes and included seven boundaries. Demerara ended the session and their innings when Kishan Singh (4) was bowled by Fortune, attempting a big swipe to give the bowler his sixth wicket of the innings. 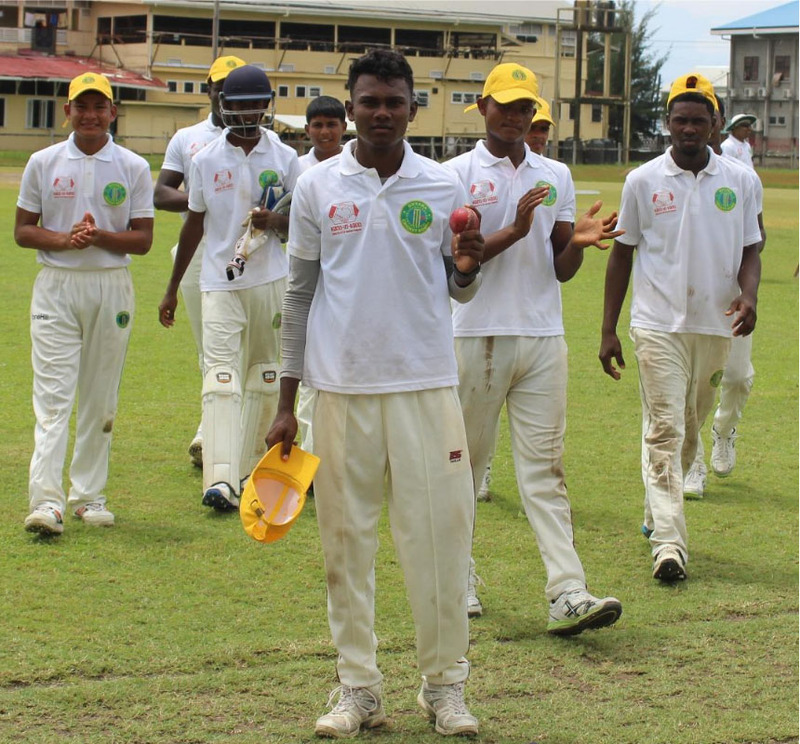 Fortune ended with 6-74 from 22 overs to stake a claim for national selection. 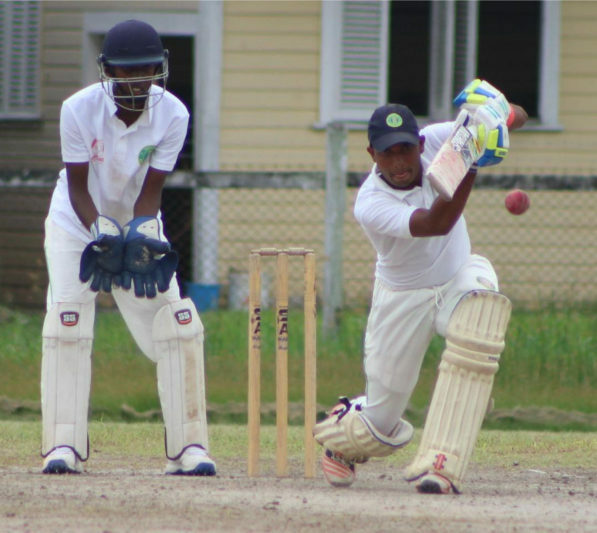 Essequibo, in their second innings, reached 57 for 3 at the end of the second session. They found themselves in early trouble at 34 – 2 when Ronaldo Ali – Mohamed bowled Mark Williams (0) while Mark Ramsammy (11) fell to Kishram Seyhodan in similar fashion. Stephan Campbell (3) joined forces with Kurt Lovell and the two carried the score to 57-3 when Campbell was needlessly run-out on the stroke of tea. 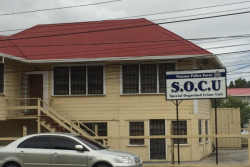 Essequibo, at that point, were still 164 runs from making Demerara bat again. Lovell, who resumed the session on 33, was deceived and bowled by Hatharamaina off the second delivery in the first over after the break. 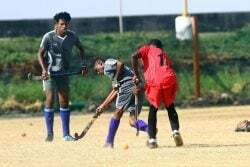 His demise left Essequibo 57 – 4 and what appeared to be a daunting task to make Demerara bat again or even save the match. 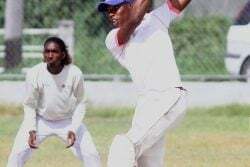 They were eventually bundled out for 115 in 74.4 overs after their batsmen occupied the crease but failed to push the score along. 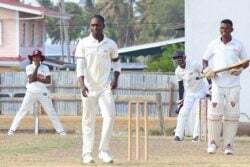 Fourteen – year-old Sheldon Charles (25), however, battled hard but failed to carry the game into the final day after facing 96 deliveries in his 121-minute stay at the crease which at times frustrated Demerara. 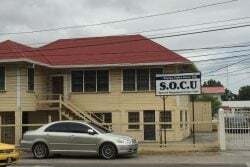 He was, however, dismissed by part-timer bowler Raymond Perez, a few overs before the scheduled close of play which led to his side being dismissed. Left – arm spinner Seyhodan ended with 4 – 20 from 20 overs while Looknaught supported with 2 – 30 from 17 overs. Both bowlers had nine maidens. Perez was adjudged Man-of-the-Match for his first innings score of 95. The tournament will continue on Thursday with Demerara taking on the GCB U17 Select XI at the Everest Cricket Club ground, Camp Road while Essequibo will battle Berbice at the Police Sports Club ground, Eve Leary.